Arabic calligraphy is the primary form of visual expression in the Islamic context and the writing or copying of the Qur’an provides the perfect context. 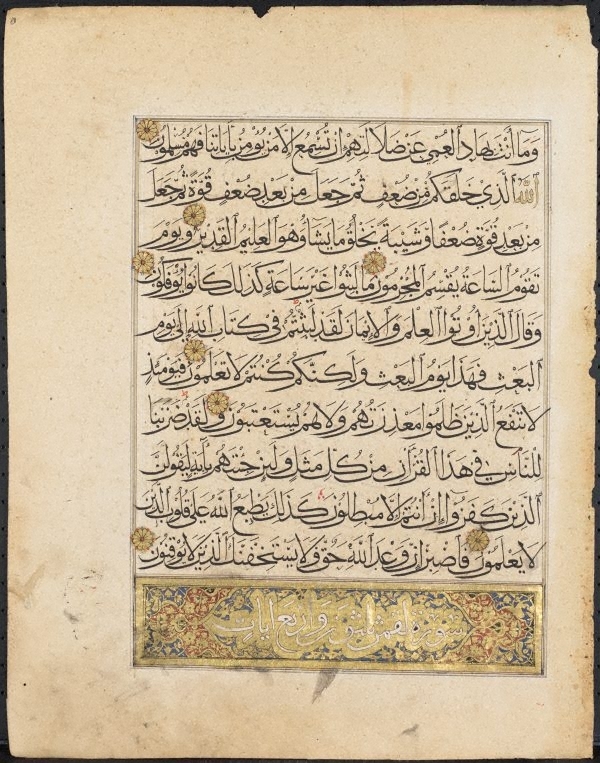 The verses from this Mamluk Qur’an are written in the 'muhaqqaq' script and is read from right to left. Treatises and manuals emphasise beauty, proportion and geometry as the measure of good calligraphy in a context where beautiful handwriting is described as the perfection of man. Asian Art Department, AGNSW, 17 June 2003.